Your cultural itinerary includes sights like Lincoln Road and Art Deco Historic District. Step out of the city life by going to Fishing Charters & Tours and South Beach. Get out of town with these interesting Miami side-trips: Everglades National Park (in Florida City), Everglades Alligator Farm (in Homestead) and Everglades National Park (Anhinga Trail & Shark Valley). 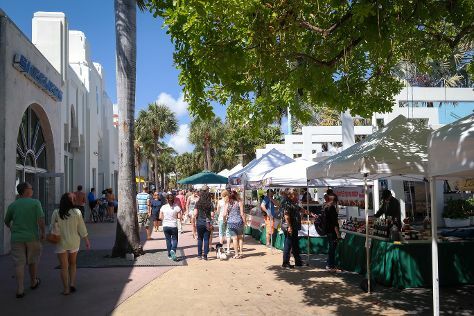 Next up on the itinerary: wander the streets of Ocean Drive, make a trip to Bayside Marketplace, take in the exciting artwork at Britto Central, and take in the local highlights with Walking tours. To see maps, reviews, where to stay, and tourist information, read Miami travel planner. If you are flying in from Brazil, the closest major airports are Miami International Airport, Fort Lauderdale Hollywood International Airport and Palm Beach International Airport. In April, plan for daily highs up to 34°C, and evening lows to 25°C. Wrap up your sightseeing on the 9th (Tue) early enough to travel back home.